The Complete Pack helps you build a remarkable school culture. The pack starts with the FISH! video, a great way to kick off your back-to-school training. FISH! re-energizes staff and helps them support each other through the challenges of a typical school year. Next is the Guided Journey, a professional development course that builds strong relationships among staff and students. It gives staff a common language and approach. Students and parents receive the same positive experience whether they interact with the principal, teachers or support staff. Each Classroom Experience includes the Student FISH! video, to help students understand The FISH! Philosophy, and a guide with exercises and other resources to help them practice what they’ve learned. 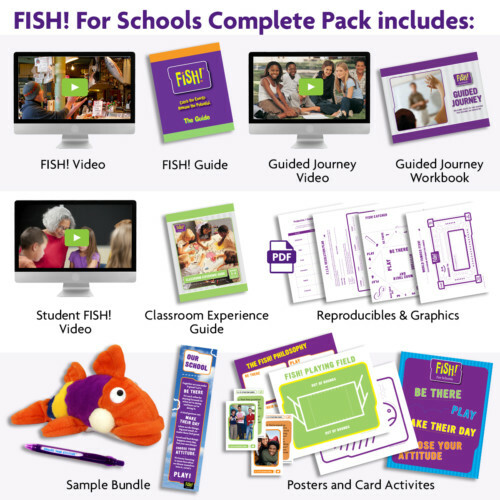 The Complete Pack includes one Classroom Experience of your choice (K-2, 3-5, 6-8 or 9-12). 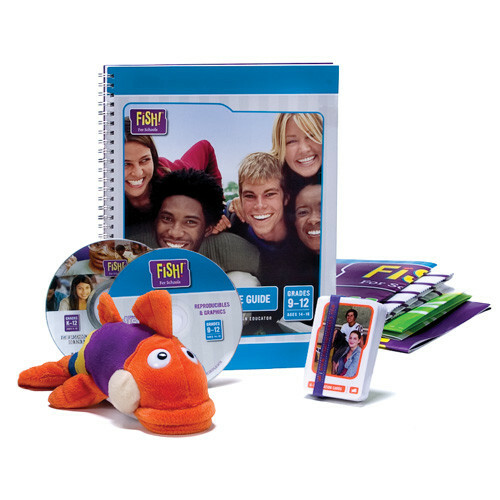 When you buy this pack, you may purchase additional Classroom Experiences for $99 each. Forge caring relationships with students that inspire them to want to be their best. Foster a supportive culture where staff regularly celebrates and recharges each other. Build a safe environment where everyone is ready to learn. Develop clear expectations shared by every member of the classroom. Guide students to examine their behavior when it doesn’t work and take responsibility for more successful choices. 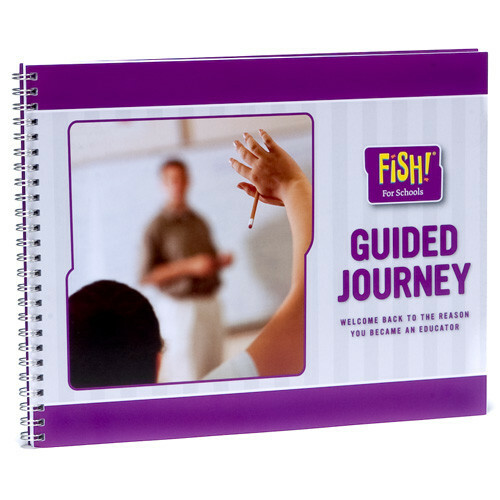 The Guided Journey includes 10 short videos of educators and students applying FISH! behaviors to common school situations and challenges. The videos are perfect for monthly faculty meetings or study groups, as well as classroom discussions with students. The Guided Journey also includes a workbook with questions and strategies to turn intentions into action. Create behavioral expectations that are owned by everyone in class.